The well-preserved town of Monteriggioni, a hilltop portal to medieval Tuscany, will host a two-weekend festival honoring its strong bond to the past: Monteriggioni di Torri si Corona, from July 5 – 8 and 13 – 15. Though eternalized in Dante Alghieri’s Divine Comedy, the walled village still retains the majority of its original features, resembling a pale stone crown resting on the head of the Sienese hillock, just as it has since the 13th Century. Pristine towers stud the circular battlement at regular intervals. The enchanting atmosphere will be roused in the medieval reenactment imbued with art, music, food, and festivities from centuries past. On July 5, there will be an extravagant medieval banquet (€35) at the castle to kick off the festival, with dishes tied into Monteriggioni’s own history accompanied with music and entertainment. On Friday and Saturday (July 6 and 7), the castle gates open at 5 pm with historical games, food-carts, and markets as jesters, musicians and acrobats splash the hefty stone walls with color and laughter. Artisans will sell medieval goods and demonstrate various crafting processes, with free participation available to visitors. At 7 pm there will be a historical re-enactment of the Vicar of Siena and his nobility arriving in Monteriggioni. Music, entertainment and duels start at 8, rounded out by a not-to-be-missed performance of the featured guest of the first weekend, Corvus Corax. On Sunday, July 8 the castle gates open at 4 pm. At 7 pm, magician Mago Paolo will put on a dazzling show called Magia e illusionismo, kicking off a series of traditional medieval performances. The drummers of Monterrigioni will thump an ancient beat at 8 pm, followed by the Morgau dance trio at 9 pm. At 10, fire jugglers will heat things up with an infernal display that is sure to raise the audience’s heart rate a few clicks. In another tribute to Dante, the Monteriggioni Ensemble will put on a spectacle of music, dance, and percussion. To close off the weekend, the Sonagli Tagatem will put on a concert. Rota Temporis, an Italian medieval musical ensemble, stars during the second weekend. Their lively, engaging show is designed to appeal to everyone, from aficionados of medieval music to newcomers to the genre. 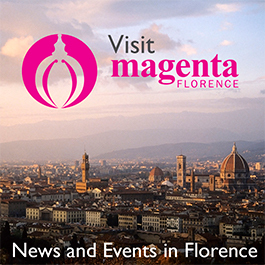 They will premiere 10 new songs at Monteriggioni’s medieval festival and focus on engaging an audience of all ages in their experiential multi-media show, including games and stories for children. They will perform at 11:30 pm on every night of the second weekend: July 13 – 15. Other scheduled events on the second weekend include a reenactment of the marriage of Duccio Tolomei and Baldesca di Ghinibaldo di Saracino di Strove (7 pm), a poetic face-off between Cecco and Dante (6 pm, Saturday, 14), Messer Lurinetto: an extemporaneous medieval slam poet (Friday, 8 pm), and many more traveling artists and performers (see website for complete details and program). Sunday, July 15, before Rota Temporis takes the stage, there will be a display of modern fireworks on the castle wall–a not-so-medieval, but nonetheless radiant, close to a festival of music and marvels of the past. To purchase tickets (starting at €11 per day) and learn more, click here.